What did you do on Friday? If your day looked like most other agents, it probably consisted of answering emails, valuation appointments, calling clients and organising staff. You may also have photographed a new property, written the details up, uploaded to your system, pulled off a couple of Rightmove performance reports, sent your designer a new canvassing leaflet to produce, signed off the newspaper advert, updated the company Facebook page, sent a couple of tweets, and maybe taken a viewing or two. All in the life of the average estate agent. But you’re not an average estate agent. You’re an EXCELLENT estate agent. And all these never-ending claims on your time are stealing your ability to BE excellent. Delegation is difficult. After all, it’s quicker to do the job yourself than to explain to someone else how to do it. And you don’t have the time to do that. 1. Write down everything you do – for a week, more if you can, have a list next to you on your desk (a digital note doesn’t quite have the same feel to it) and add any time you spend on each task. So you might have a list of activities on the left, and on the right, whether you spent 5 minutes, half an hour, or more. Make sure that you write every minute down, even if it’s getting a coffee, or chatting to a friend on the phone. You need to account for every moment you’re ‘at work’. 2. Categorise the tasks – next, add up all the minutes, then sort the totals into general areas of activity, eg marketing, recruitment, admin, down-time, etc. Try to keep the themes quite broad, so you have around 6-8 areas in total. 3. Create a pie chart – this is a very visual way of representing how you’re using your time, and you’ll find it quite a revelation. If you don’t know how to do this in Excel, (delegate it, perhaps?) just draw it by hand. The results will still be the same. 4. Prioritise your activities – go back to your broad list of activities, and re-write them on a new piece of paper. Now put a number next to each one, to indicate its importance to your business goals. On your pie chart (print it out if it’s digital), write the numbers on the areas of activity. How well do they correspond with the actual proportion of time you’ve spent on each one? Look for any that are out of sync, in other words, where you are spending more time than the activity deserves. 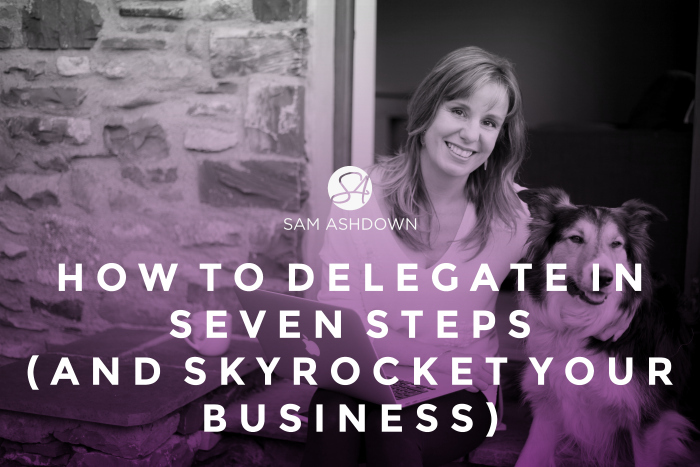 These are your areas where you need to focus your delegation efforts. 5. Select the tasks to delegate – look at your original list of activities, and write down all the tasks in the areas you need to delegate. For example, you might have ‘Property marketing’ as a general area, so this list will include tasks like organising photography, writing up the property details, uploading to the portals, matching it against your database, and much more besides. Perhaps you’ve already delegated some of these tasks, so put a star next to the ones you’re doing yourself. 6. Create task sheets – you now need to write a task sheet for each one of these activities. Keep each task sheet to one page wherever possible, and write it as if for a brand new member of staff that knows nothing about the business. At the top of the task sheet, write the headline as a ‘How to’, then add an objective underneath in one sentence, eg To upload property details to our system and the portals we use, efficiently and accurately. Creating task sheets is a slow process, but one of the most important things you can do for your business. Try to write at least one every day, then when you’ve completed each one, give it to someone who has never carried out that task before, so you can test its robustness, and find any gaps. Repeat this process, with the help of your team members, until you have created a company manual, updating each task sheet as necessary with new changes and updates. 7. Create a delegation chart – look at the types of activities you have on your list, and in your task sheets. Who is best suited to these tasks? Now you have comprehensive instructions for each and every task that needs doing, it’s so much easier to actually delegate them to the right person. Perhaps there’s someone in your office that is naturally good at admin, or lead generation, or social media. Make sure you’re not overloading anyone with a ton of extra responsibilities suddenly, and consider hiring someone to take on any tasks that no one has the time to do. If you carry out this exercise thoroughly, it could free up a third of your time, or more. That could equate to as much as fifteen hours per week. That’s a great chunk of time you can now spend on your business, instead of in your business. And only by doing this, can you take the time to do the things that really matter, like planning, setting goals and actually growing your business. Remember, you can do anything, but you can’t do everything. What to read next: Is your diary running your business? I love this blog Sam it’s very useful and relevant for us too!